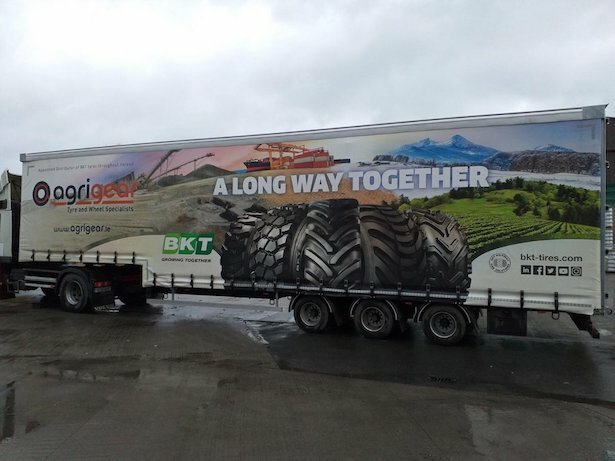 Agrigear, distributors of the BKT range of agri-tyres in Ireland is sporting a new trailer, fitted with a set of digitally printed ENXL rated curtains supplied and fitted by Transway Fleet Solutions. For all your curtain requirements contact Transway Fleet Solutions 00353-87-0523432. For more information on the BKT range of agri-tyres contact Agrigear on 042 9666 444.